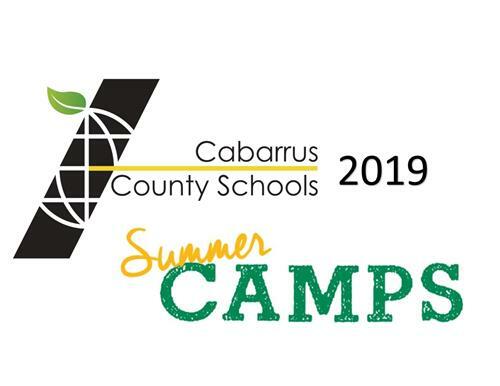 Cabarrus County Schools is excited to offer students a variety of engaging summer programs again this year. Overviews of each program are below and specific registration information can be found by clicking on the links provided for each program. Registration is based on the student's grade level in the Fall of 2019. In addition to the opportunities shown below, be sure to look on individual school webpages for summer camps that may be open to its students and/or all CCS students. Camp Invention is a nationally recognized STEM (science, technology, engineering, and math) program led by experienced local educators. New curriculum is introduced each year, inspired by the Inductees of the National Inventors Hall of Fame. Students become innovators through collaborative learning opportunities and hands-on activities. This year's "FAST FORWARD" program will inspire your young innovator using collaboration, discovery, and invention prototyping to solve real world issues! The KIDS: PLUS Summer Camp Program offers character-building enrichment that encourages children to continue learning over the summer and keeps children on the move with a variety of field trips where they make new friends and create memories that will last a lifetime! Field trips include, but are not limited to, Dan Nicholas Park, Frye's Skating Rink, The Gem Theater, and The Kannapolis Rec Park. Our staff members are qualified by the North Carolina Division of Child Development and Early Education to work in our five-star rated, licensed child care facilities. Students will strengthen their reading skills through a variety of targeted reading lessons and authentic literacy activities. Students will participate in science inquiry projects where they may build rockets, design parachutes, or solve the mystery of a stolen bicycle. Students also receive intensive reading instruction in small groups by a highly-qualified reading teacher, participate in blended learning lessons, learn golf skills, and are supported by high-quality teams of teachers. Students will participate in a variety of STEM and IB related topics while also learning more about the middle school experience. The CCS STEM Code Quest summer camp will be held at Central Cabarrus High School over the course of three days. The camp provides coding experiences for students at all levels of coding from beginner to advanced with the purpose of providing participants with a competitive edge in the growing field of coding. Campers, working in pairs, will build and program a Vex Robot, while improving teamwork and problem solving skills! Robotics is an engaging way to integrate all facets of STEM education into the classroom and competition is a natural way to capture students' attention. During the excitement that comes with building and competing with their robots, your students will be having too much fun to realize they're learning important STEM concepts and life skills! Microsoft will be offering DigiGirlz High Tech Camps for 9th-11th grade students wanting to learn more about careers in technology. Additional information about this program can be found here. The Center for the Environment will be hosting a National Environmental Summit for High School students in July. Additional information can be found here. RCCC will be hosting a variety of Summer Enrichment Programs for 3rd through 5th grade, middle school, and high school aged students throughout the summer. Additional information can be found here. Enrichment Opportunities for K-12 students can be found here.